It’s about this time of year where I really start to hit a wall when it comes to entertaining a toddler in the house. When the temp starts to dip below comfortable-level-for-outside-activities,I need a host of indoor activities that’ll engage him (and, well, engage me, too). 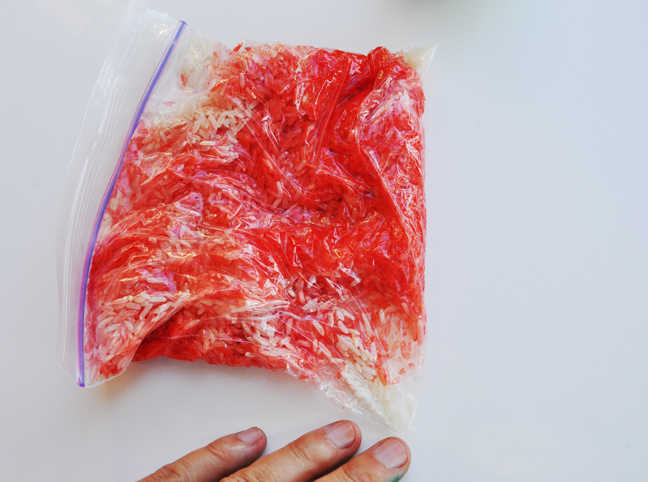 I’ve committed to coming up with more new ways to engage my toddler in sensory play (activities that simulate toddlers’ senses including touch, smell, taste, sight, and hearing). 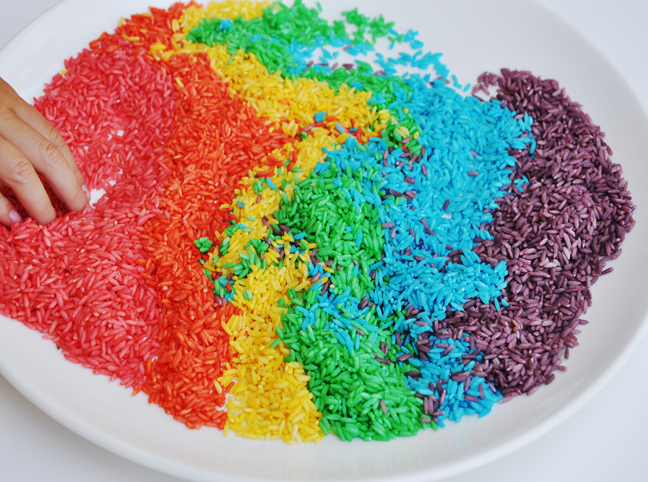 This DIY kaleidoscope rice is the perfect project to engage kids in exploring colours with their hands. 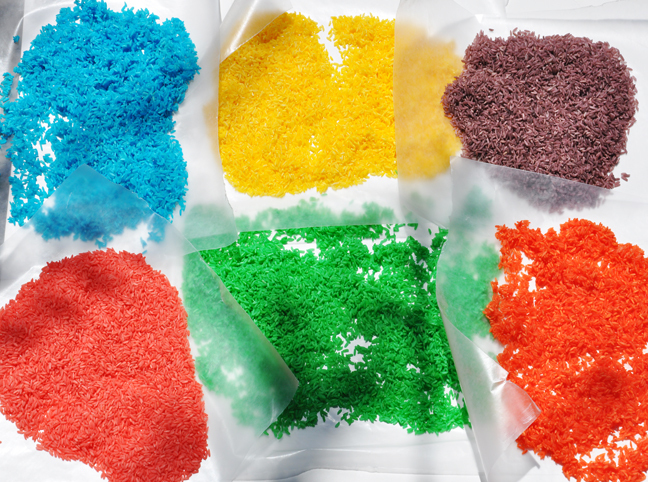 Even better, it’s simple, non-toxic, and costs next to nothing. My son loves the bright colours, and the play possibilities are infinite. 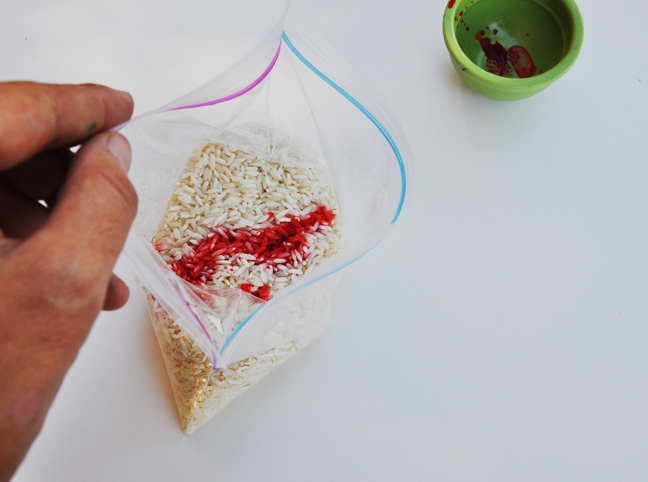 Step 1: Add 1 cup rice to a bag. 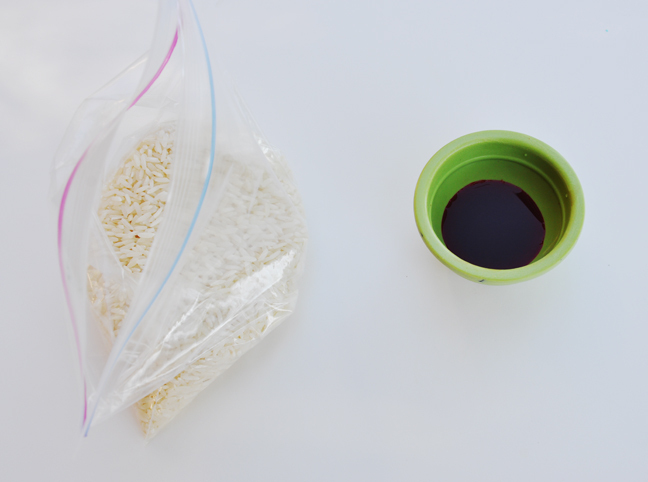 Step 2: In a small bowl combine 1-2 tablespoons vinegar along with one of the food colours. The intensity of the colour will depend on how many drops you put in. 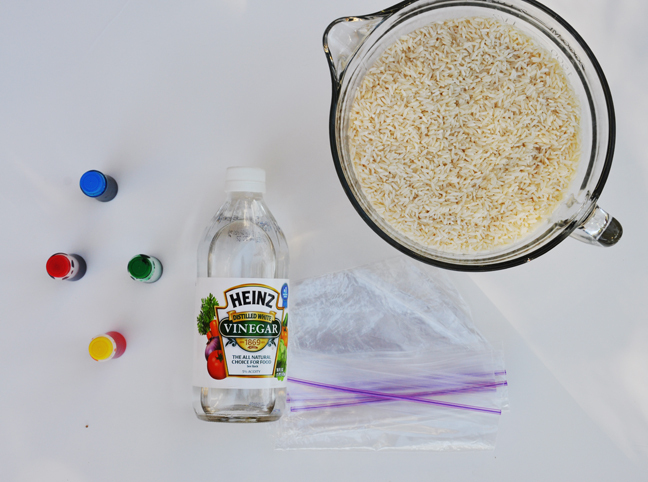 Step 4: Squish the vinegar mixture all over the rice. 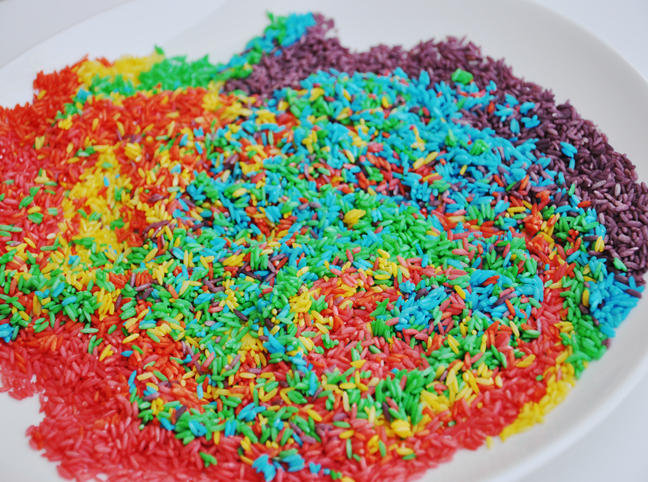 This is a great time for the kids to get involved; they love squeezing all the colour around. 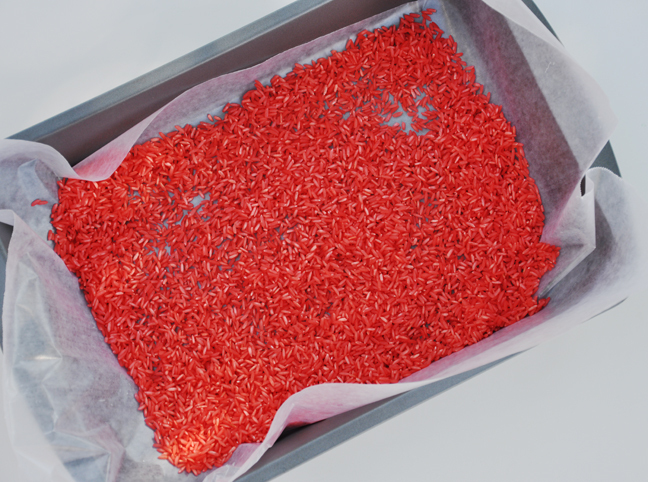 Step 5: Once the colour is disbursed on all the rice, pour out onto some baking paper and let it air dry. Here are all my colours drying. Now go use your imagination with it! 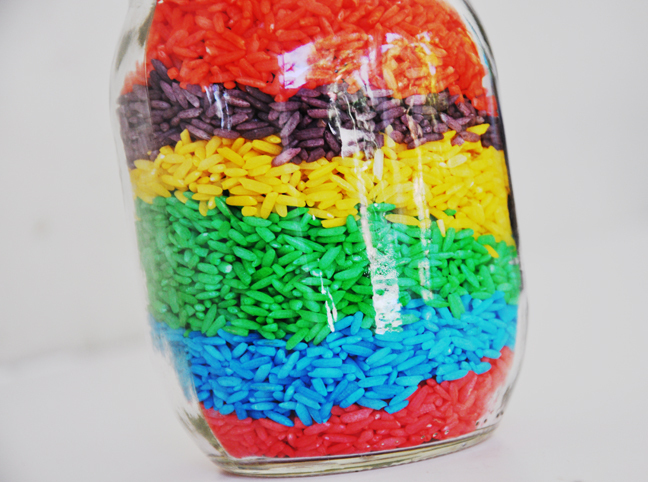 We filled jars in different colour rows. 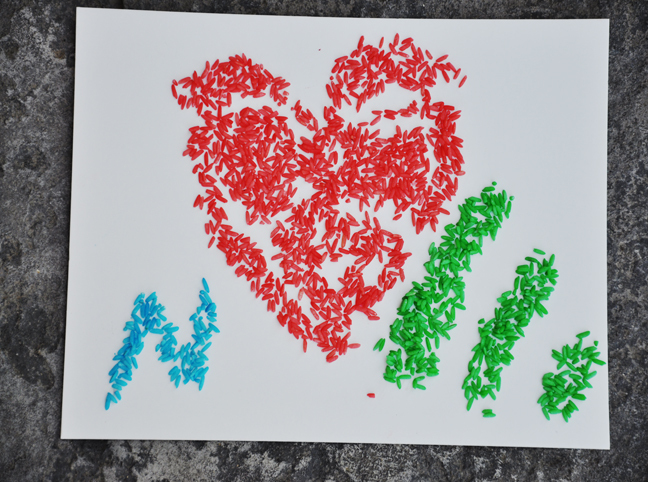 Use a glue stick to create pictures. 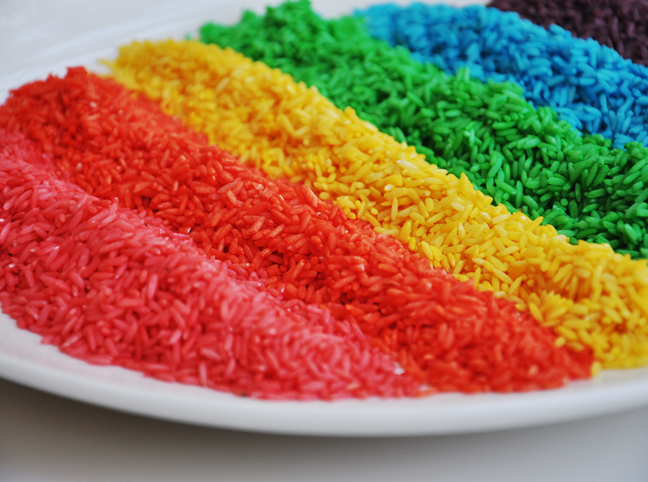 Or just let your child swirl their hands around in the rice and explore what happens when the colours mix together.